We have had the pleasure to taste the amazing meals offered by both EveryPlate and Green Chef and we completely understand if you are having a hard time deciding between the two. In this EveryPlate VS Green Chef comparison, we highlight all the strong and weak points of these two popular services in order to help you find out which one better suits your individual needs and which one is objectively superior to the other. 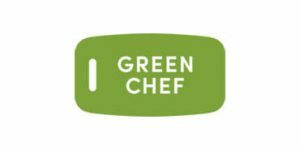 Whether you're looking for an organic, vegetarian or gourmet meal delivery service, Green Chef has you covered. It delivers pre-portioned ingredients and chef-created recipes to your doorstep whenever it suits you the most. You can enjoy great flexibility, eat a healthy diet, and help save the planet too. Read this Green Chef review to learn more.